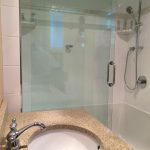 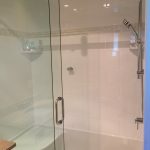 Bathroom Renovation Bathtub to Shower - Callaway Plumbing and Drains Ltd. | Callaway Plumbing and Drains Ltd. 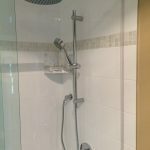 In this renovation the contractor removed the old 5′ steel bathtub to convert to a walk in shower unit for the clients. CALLAWAY Plumbing and Drains Ltd. supplied and installed a new Mirolin acrylic shower base with seat in the same opening that the bathtub was in, then installed a new Riobel shower kit with rain head, hand held on a slide bar. 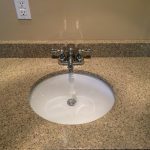 The contractor also supplied a new granite counter top with undermount basin which CALLAWAY Plumbing and Drains Ltd. installed the existing faucet with a new Riobel click pop for the drain assembly. 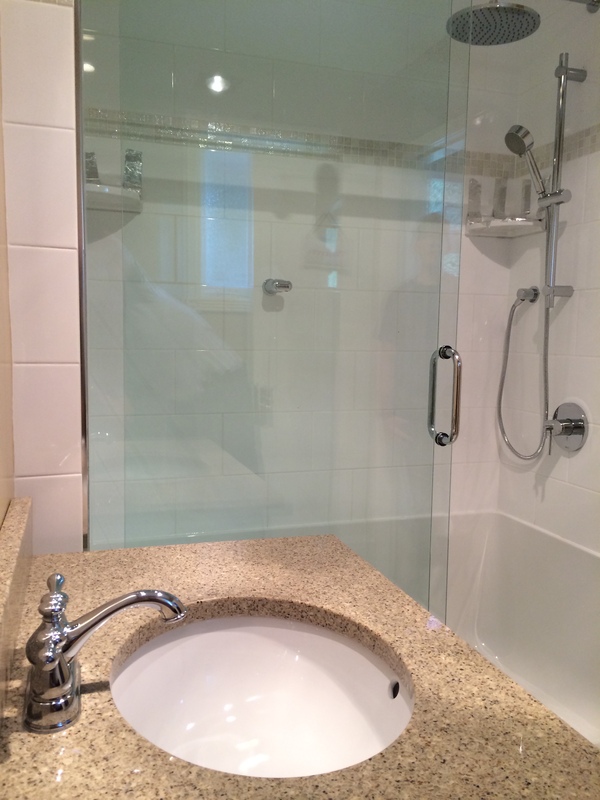 Another great looking installation!